Brunstall, Brunstath, Brumstache and Brumstage as it has formerly been known as, was by all accounts the one of the of the county seats of the Domville family, of whom I read somewhere also were based at Lymm was a clan of wealth and members of the higher classes of gentry at that time, as the Domvilles not only held their lands under them but also bore the Barons of Montalt coat of arms as their insignia. 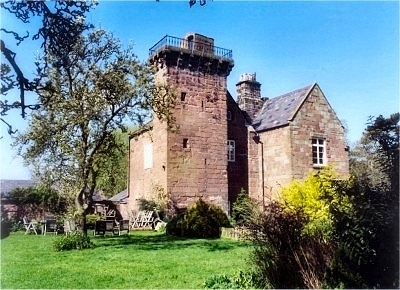 Sir Richard Domvilles hieress Margery wed Sir Hugh Hulse and their son in turn sprogged up only a daughter Margaret whom inherted the estates of the Hulses, Rabys, Domvilles and a couple of add-ons which made her a very powerful and wealthy person. When she wed Sir John Troutbeck (Lord of Durham on the Hill), he then became Sargeant of Brunstath but was unhappily for himself killed during the battle of Blore Heath (1459) in the War of the Roses. These manors and the greater estates of the Domvilles and Troutbecks later became the property of the Earl of Shrewsbury via his ancestor Sir John Talbot who had married yet another Margaret, the great grand daughter and sole heiress of Sir John Troutbeck. Brimstage is still a small village with many old buildings here and there, but Brimstage hall alas a shadow of its former glory is the centre piece. Built some time been 1175 and 1350 surrounded by a deep moat between 14 and 20 yards wide, fed by a stream running through the village and spanned by a few small bridges.A later attachement to the hall of a ancient square tower, of considerable height, the only remains of a building which was far bigger in bygone days was most likely the strong hold of the Hulses, although why this vertiable fortess type construction was undertaken in brimstage is as yet a mystery, beyond the moat would have been 150 acres of Country Park . The building's first known occupants were Sir Hugh Hulse and his wife, who were granted the right to construct the chapel in 1398. Tradition holds that the Chapel was established in the vaulted chamber that stands at the base of the tower. The architectural historians Pevsner and Hubbard informs us that possible evidence is supported by the ceiling boss which is carved with 3 fishes intertwined and is the ancient symbol of Christianity, but it could also depict the coat of arms from the Troutbeck Family who occupied in 1459. The ceiling boss has a huge metal ring hanging from the centre, this was the original well mount for the Hall and surrounding area. The well was rediscovered in 1957 by Archaeologists from Cambridge university who after careful excavations found human bones from at least two individuals at the bottom. The dating for these remains revealed that they dated back to around Cromwells era and would tie in perfectly with the catholic monks who lived in the Hall at the time and probably died there. 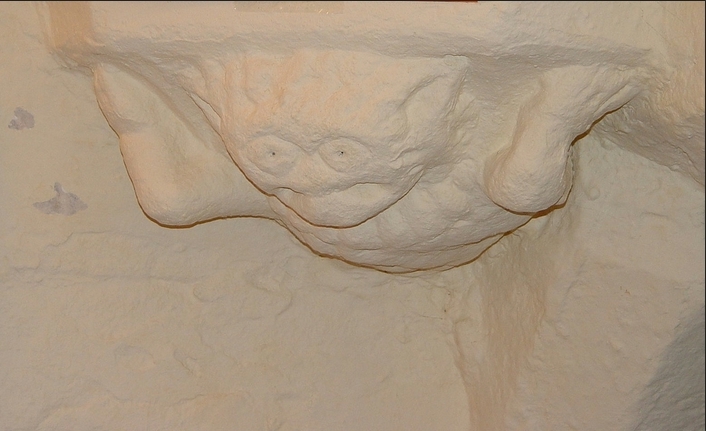 In the Chapel there is also a small carved stone corbel depicting a smiling cat. The cat is believed to be the original idea that Lewis Caroll used for Alice in wonderland. He wrote in his memoirs that he "saw a Cheshire cat with a gigantic smile at Brimstage carved into the wall". The house is reputed to have 2 ghosts within it's walls. Both are of ladies and they have been seen over the centuries wandering aimlessly around looking sad and dejected. When the floors in the upper levels were dropped during renovations they forgot to tell one of the ghost and now she is seen as half a figure with her legs below the new level of flooring. Rumour has it that the black cloaked lady committed suicide by throwing herself off the tower, after being jilted by her lover in the 18th century. 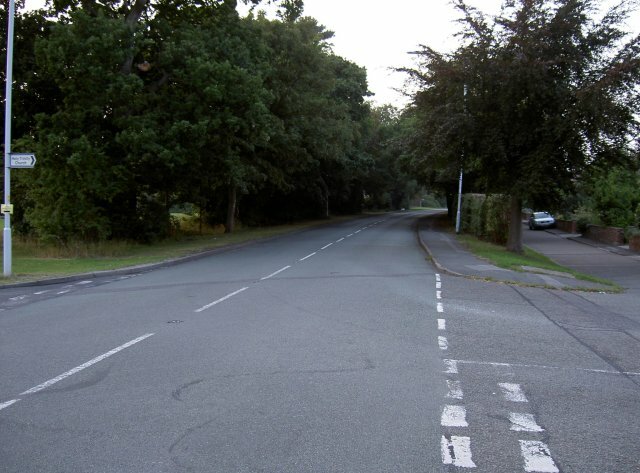 This stretch of road in Brimstage has been the setting for many sightings of a phantom hitchhiker throughout modern times, although appearances peaked in the 70's and 80's. The young female has been seen late at night and on several occasions has entered the car before disappearing. 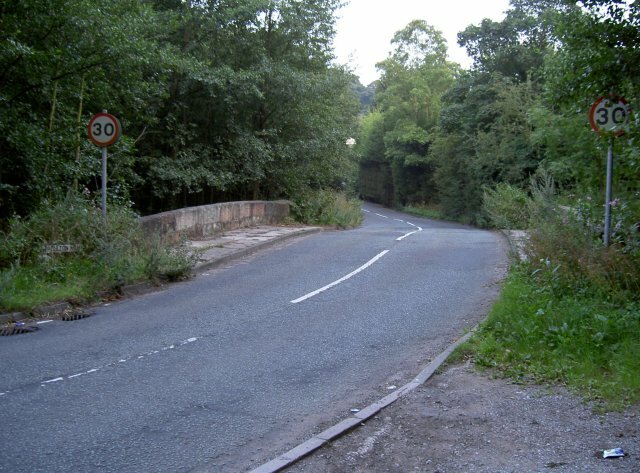 Her tale is frequently linked with the Dibbinsdale Bridge phantom in Bromborough, close to an ancient castle and manor house The white lady is statistically the most frequently reported of all Cheshire ghosts, and the legend tells of a young novice nun who fell in love with a monk from a nearby monastery. The romance was doomed to fail and her tormented spirit haunts the site of her death. This site is in a low lying valley and is frequently the site of low lying mists and fogs, appearing in a car headlights the mist can frequently take on ethereal and ghostly shapes. 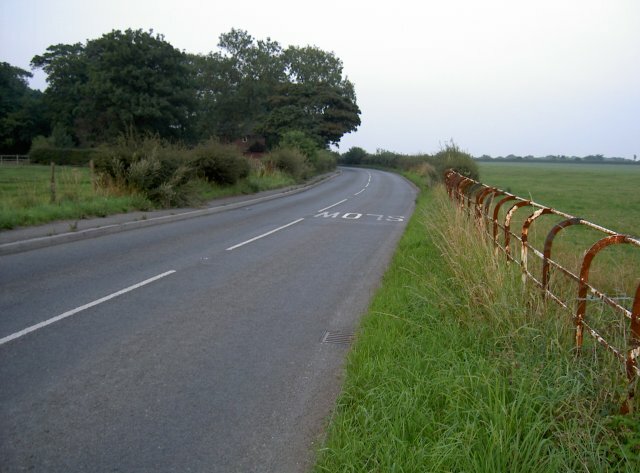 Whitehouse Lane is the site of a phantom cyclist who has been seen in recent years pedaling along the Brimstage to Heswall road. 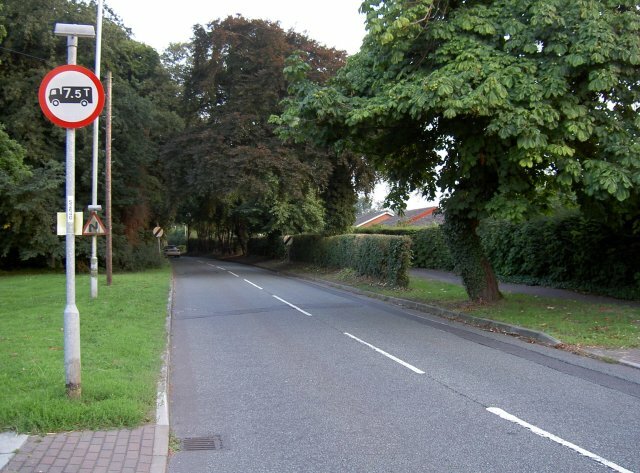 Many motorists have passed him only to see him vanish as they look in their rear view mirror, as in this recounted story " I'm just wondering if you have ever heard a story about the road on the Wirral where Brimstage Hall is ? My friend and I nearly crashed the car there a few years ago after a man in a green jacket appeared on the 'S' bend in the road. he was holding a petrol can and we returned to give him a lift to the petrol station but could not see a car anywhere or the man. When we retold the story to several friends we did not mention where we were, but they all knew the location and had heard it had happened to other people." After a gap of almost forty years brewing has returned to Wirral with the opening of The Brimstage Brewery.The small brewery, run by real ale enthusiast Neil Young, currently produces two ales Trappers Hat and Rhode Island Red.It has been set up on the site of the dairy on Lord Leverhulme’s land in Brimstage.The Trappers Hat Bitter, named after the local poaching tradition, scooped Beer of the Festival Award at a Birkenhead Beer Festival.Amongst the local public houses that stock the beer are The Wheatsheaf in Raby and The Fox and Hounds in Barnston. 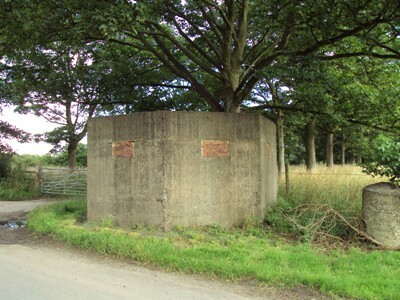 During the second world war Brimstage was part of a defence ring thought to be protecting Hooton Air Base, hence : the pillboxes.The line of trees in the background is part of the Leverhulme Causeways.